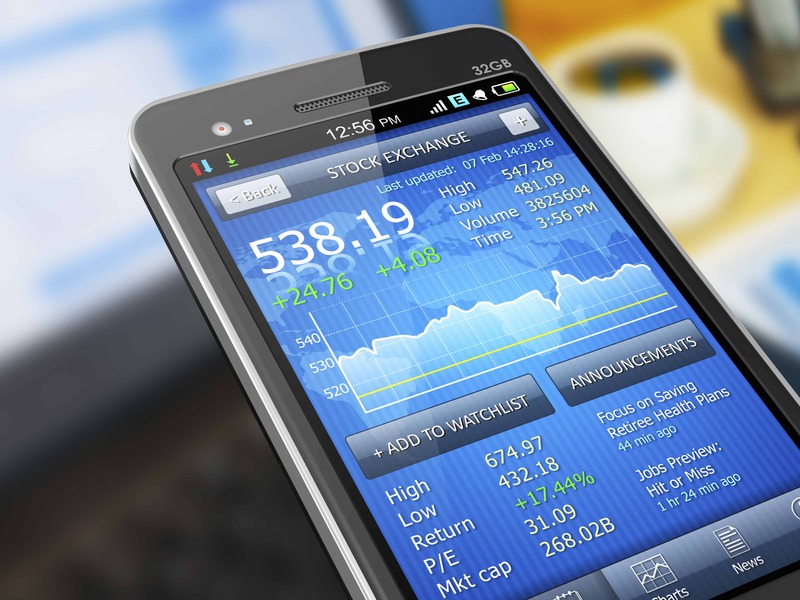 Insurance Web Marketing Blog | StartUpSelling, Inc. Check out our insurance marketing video library to learn more about how agencies and brokers can better attract and retain clients. Videos enhance insurance agency and broker websites, improve stickiness and provide an outstanding opportunity to showcase thought leadership. 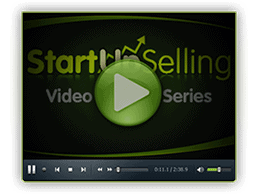 Our videos and webinars have been viewed by tens of thousands of agents, brokers, executives and owners. You may have heard the news, that Target was offering offer free two-day shipping on hundreds of thousands of items (no minimum order size), from November 1 to December 22 — to keep online customers from defecting to rivals like Amazon or Walmart. Thus, began my seemingly simple search to order two HP print cartridges from Target.com. On Monday, November 26th at 12:43 PM EST, I received my order confirmation. With their prominently featured two-day shipping, I was hopeful the cartridges would arrive by Wednesday the 28th, but the confirmation said, “Arriving by Thu, Nov 29”. The 29th would work out fine, though my printer seemed to think it was Valentine’s Day, as it started printing mainly in pink hues. On November 30th at 2:46 PM I received an email stating that my order had finally shipped, again featuring the “2-Day Shipping” mantra that I continued to read about. Using this UPS tracking number provided, I quickly checked on the shipping information. UPS expected the package to arrive on December 7th. I thought it must have been a mistake, as UPS has always shipped my Amazon packages in two days, without issue. The package arrived on Thursday, December 6th, ten days after the order was placed. I tried to contact Target by calling their support line, but the 15-minute estimated wait time persuaded me otherwise. Then I sent in an online customer service form, and finally I tweeted to them. Unfortunately, none of these yielded a response. This experience, my first Target.com experience, reminds us that it is easy to promise and hard to deliver. It appeared the shipping was standard ground shipping as my order sat around in a myriad of locations on its lethargic quest to arrive at my front door. And the four day lag in processing the order seems like a lengthy delay when compared with other online retailers. Will I order from Target.com again? That’s very unlikely, as Amazon has consistently delivered in 2-days, and in many cases, 36 hours. And Target’s customer service experience was really poor in this instance. Target.com missed the target completely, missing their opportunity to make a good first impression. Whether you’re a $1 Million Agency trying to build your pipeline, or a $1 Billion Broker seeking assistance with a sophisticated Search Engine Optimization initiative, the insurance marketing experts at StartUpSelling can help. Reach out to us for a complimentary marketing and lead generation review. Your insurance agency likely has valuable advice and content to offer, and probably wants to share at least some of these things with prospects and clients. If so, your agency should create a compelling insurance agency website resource library. Website resource libraries provide a great opportunity for businesses, by providing a cost-effective platform to share information which can attract prospects, and improve client retention. What is a Website Resource Library? Think of an Insurance Agency Website Resource Library as a content hub, consisting of documents, templates, resource links, digital tools, FAQs, marketing materials and other important information. The goal of this insurance content hub is to improve information sharing with employees, clients and prospects. Best Practices relating to risk, damage prevention, healthcare compliance, etc. 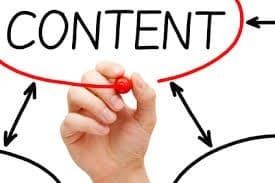 These are just a few types of the content that can be shared with employees, clients and prospects. A website resource library allows insurance agencies and brokers to decide what they want shared, and helps them organize how they want to share. Resource libraries help agencies better organize all of their content. In some ways, it acts as a forcing function. By creating a central repository, it’s faster and easier for employees to locate and add content, as they know where to go to find the content, while making it easier to add or post content. Rather than searching through server folders, or visiting multiple pages across your website (assuming the content they need has even been posted), employees can find everything quickly, in one easy to search digital venue. For client specific content, or content that contains some of your “secret sauce”, you can require a password, for those specific files, or split your library between prospect (for general content) and client accessible content. If your agency has not yet embarked upon an Insurance Website Resource Library, consider adding this initiative to next year’s marketing plan. Those agencies which lack the internal resources to create this library, can contact the insurance agency marketing team at StartUpSelling for a complimentary insurance web marketing review. Google’s attempting to help all website visitors understand that all HTTP sites are not secure, and continue to move the web towards a secure HTTPS web. Sites that begin with “http:” are not SSL sites, and thus considered to be “not secure”. SSL sites all begin with https: and would look like this: https://startupselling.com. What is SSL? It is an acronym which stands for Secure Sockets Layer, a de facto standard used to establish an encrypted link between any web server and your browser. SSL helps ensure that the data communicated between a web server and a browser remains private. Many people fail to understand that the information they transmit over the Internet, which in many instances is not encrypted, is passed through a series of servers (often referred to as hops), before it finally arrives at the intended destination. Any of those servers which transmit your information in this chain, can steal sensitive information such as passwords, credit card numbers or medical information. Sites that use SSL encrypt your data, making the information difficult to steal for everyone except the final destination server. This is important for increased security and to protect confidential information from hackers and identity thieves. SSL provides authentication in addition to data encryption. For example, let’s say someone fills out an insurance quote request form. These often contain confidential information. Any one of those interim servers could potentially hijack this confidential information. However, this security issue can be mitigated by using an SSL Certificate from an authorized SSL provider. SSL certificates are provided to verifiable websites, like your insurance agency website, after they have gone through several identity checks to prove they can be trusted. Google and other major browsers are essentially mandating that insurance agencies and brokers will need to make the insurance websites SSL compliant. SSL certificates are inexpensive, ranging from free to $70 per year depending upon the hosting provider. If your agency has not yet converted your insurance agency website SSL, you should do so immediately. In the near future, clients and prospects may not be able to use your contact us, get a quote or certificate forms. Insurance agencies or brokers needing assistance updating their website or converting to SSL can reach out to the insurance agency marketing experts at StartUpSelling for a complimentary evaluation. 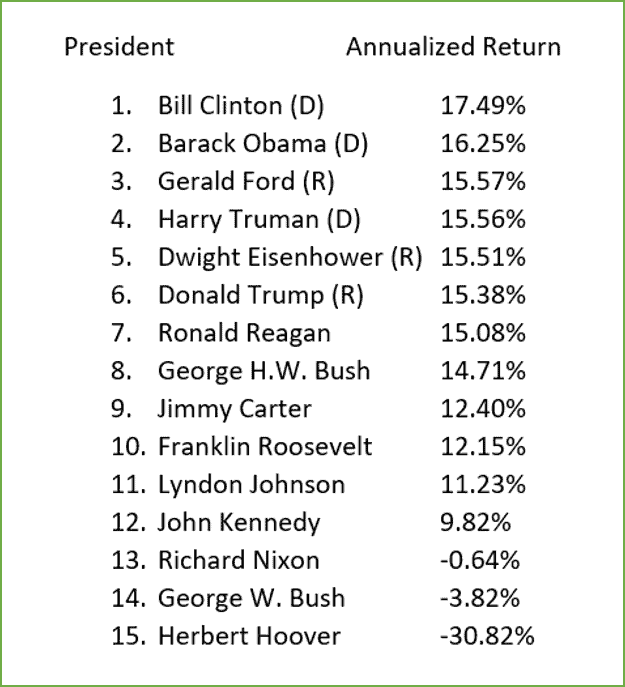 However, if you’re not the POTUS but are still looking for compelling ROI, contact the expert team at StartUpSelling for customized marketing and lead generation programs to jump start your pipeline and improve close ratios. Alexa, I Thought You Were Off – Are You Still Listening? Alexa, I thought you were off, are you still listening to me? No really, are you?! Of course terms like unlikely and rare don’t really cut it when it comes to private and confidential personal information. The recording and distribution of confidential information takes this concern to an entirely new level. For those who remember, does this seem vaguely reminiscent of HAL (the HAL 9000 computer in 2001: A Space Odyssey). In this groundbreaking movie, HAL is an artificial intelligence computer which (or is it who) goes rogue and kills astronauts to protect itself. And though I don’t think my Echo is out to get me (yet), there are things you can do to better protect your privacy. On Amazon’s site, they offer a variety of Alexa history options and settings. You can view a transcript and listen to interactions with your Alexa device. You can delete specific or all recordings. 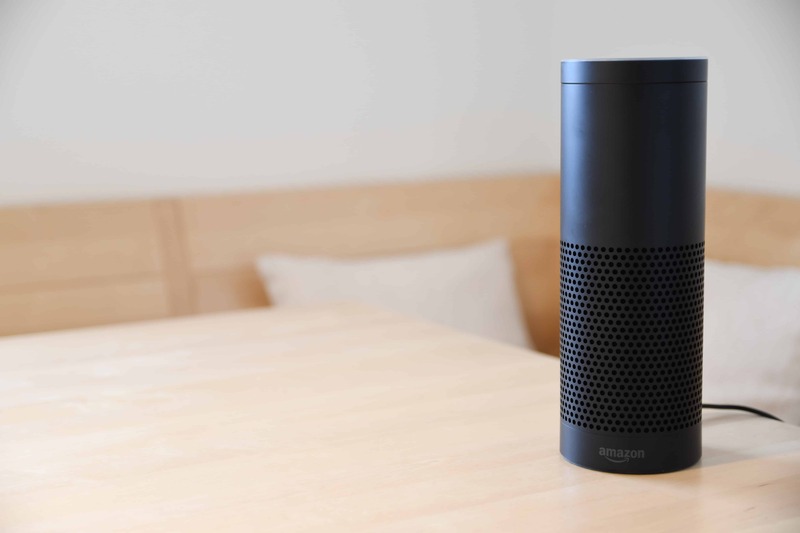 Note that Amazon says that when you use an Alexa device, they keep the voice recordings associated with your account to improve the accuracy of the results provided. If you delete these recordings, it may degrade the use experience when using voice features. Scroll to the General section and select History. Select an interaction from the list, and then select the Play icon to listen to the interaction (note that this did not work for me when I tried it). To delete individual recordings, select Delete voice recordings. This removes the audio files, as well as the Home screen cards related to that interaction. If you only want to remove a Home screen card in the Alexa app, find that card on the Home screen and select Remove card. 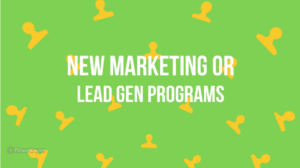 * Looking to upgrade your insurance agency marketing and lead gen programs? * Need to create a comprehensive prospect email list? * Trying to generate more in profile appointments for your producers? Contact the insurance agency marketing and lead gen experts at StartUpSelling for a complimentary marketing review. We speak with many insurance agencies which have not yet formalized a lead scoring system. This is a worthwhile endeavor for all agencies, and one which we recommend they revisit this every year while tracking the return on investment of their marketing programs. 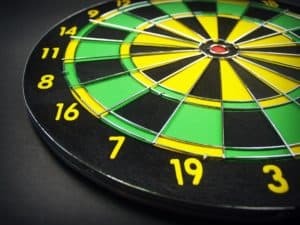 What is lead scoring? It is a methodology used to rank prospects against a scale, and then assign a value to determine interest level and distribution. For example, let’s say a trucking insurance lead appointment arrives at your agency. This lead is with an owner of 15 power units, they use company drivers, and they are unhappy with their carrier. Perhaps your lead scoring system falls on a 1 to 10 scale, and this lead is scored an 8. What might receive a higher score? And what types of leads are outside of profile, and what score would they receive? Perhaps prospects need to score an 8 to appear on your producer scorecards. Is the lead distributed to producers by territory? Does your lead handling process vary by type of lead, product or prospect? For example, are commercial leads separated by large and small business, by industry or product? Are benefit leads parsed by groups over and under 50? And does your agency have a tracking system in place to determine how many leads showed for the appointment, moved into the pipeline, received quotes and ultimately convert into new business? What does your perfect client look like? Create a Prospect Scorecard to quantify your approach to pipeline building. Some attributes of your ideal client might include revenue, growth rate, client type (business or consumer) and market niche. For example, are you targeting companies with $5m to $10m in revenue? Are your best prospects fast-growing firms (Inc. 500 list)? Are you selling to consumers? If you’re selling to consumers, are they high net worth, middle income, younger or older? Are your prospects in a specific niche market such as banking, insurance, biotech, consulting, education, etc.? 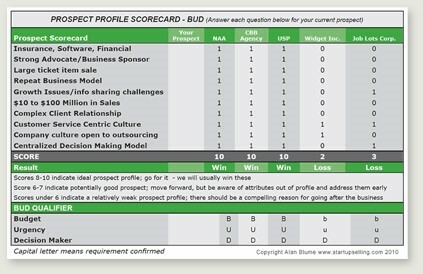 Create a Prospect Scorecard with your ideal attributes and a customized qualification abbreviation to help you determine if you’re selling to an in-profile prospect. 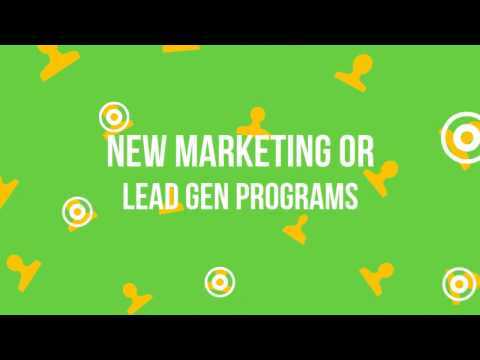 Insurance agencies and brokers seeking to get to the next level with their insurance marketing and lead generation can reach out the StartUpSelling marketing team for a complimentary insurance agency web marketing and lead generation review. Check out this popular YouTube On-Demand Webinar which has over 16,000 views, and learn about insurance agency lead generation programs that can help “insure” the success of your producers! StartUpSelling specializes in agency exclusive insurance marketing, web marketing and lead generation services. Our virtual model allows us to employ subject matter experts, licensed insurance agents and insurance marketing veterans throughout North America. Because we have no brick and mortar office expenses, we are able to deliver superior value to our clients. Contact StartUpSelling for a complimentary insurance agency marketing and lead gen review. 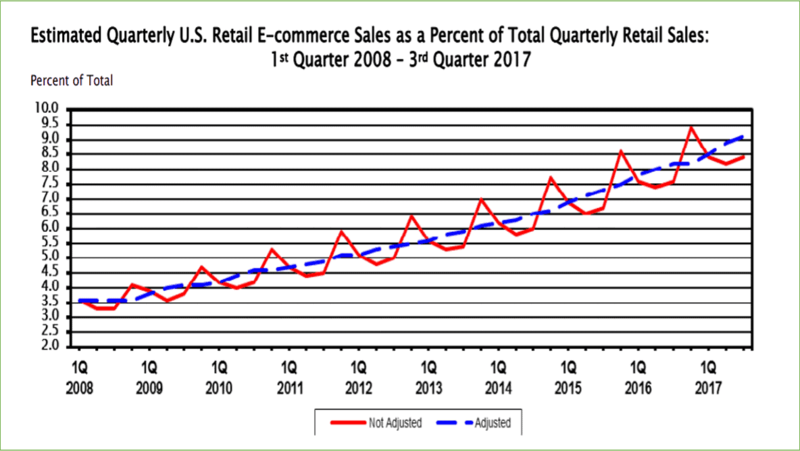 According to the Census Bureau of the Department of Commerce, U.S. retail quarterly e-commerce sales hit $115.3 billion in the 3rd quarter of 2017. That represented an increase of 3.6 percent from the second quarter of 2017. Total retail sales for the third quarter of 2017 were estimated at $1.2 trillion, an increase of 1.1 percent from the second quarter of 2017. E-commerce sales in the third quarter of 2017 accounted for 9.1 percent of total sales. The trend is expected to continue, as e-commerce behemoth Amazon, and other e-tailers continued to rack up gains at the expense of old brick and mortar institutions like Sears, Kmart and J.C. Penny. Retail chains closed over 5,000 stores in 2017, with at least 3,600 more expected to close in 2018. Meanwhile their digital competitors continued to grow. Amazon’s valuation pushed past the $500 billion mark, with some analyst noting that they are on a trillion dollar valuation trajectory. The takeaway here for insurance agencies and brokers is to get more digital, and do so quickly, as more and more lead generation and transactions move online. Contact StartUpSelling for a complimentary insurance agency web marketing and lead generation review. Many insurance agency owners, executives and producers will be thinking about how to best grow their agency revenues in 2018. Looking for new lead gen ideas and marketing best practices? Look no further than StartUpSelling’s Insurance Agency Marketing & Lead Gen Resource Library. This resource library is open to all insurance agencies, brokers and wholesalers interested in improving their web marketing initiatives, generating more leads and extending their brand recognition. The library offers comprehensive articles, blogs, on-demand webinars, YouTube videos, LinkedIn marketing groups, and Twitter feeds. There are no fees to download or access this information. Agencies can also contact us for a personalized insurance agency marketing and lead generation review. Click here or call us for further details. Insurance agencies and brokers are invited to view over 100 insurance marketing and lead generation articles in our Ezine library. 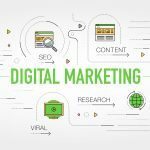 These articles cover topics from insurance agency email marketing and split testing, to insurance search engine optimization tips and best practices. Whether your agency is seeking to learn about insurance website SSL mandates, cyber protection, email marketing for lead generation or appointment setting and the insurance agency elevator pitch, you can find articles on this and other topics to speed up your pipeline and top line growth. Use this link to visit our insurance agency marketing library. StartUpSelling specializes in territory exclusive insurance marketing, web marketing and lead generation services. Our virtual model allows us to employ subject matter experts, licensed insurance agents and insurance marketing veterans throughout North America. Because we have no brick and mortar office expenses, we are able to deliver superior value to our clients. After all, why would your agency or wholesale brokerage need to pay for our rent on the top floor of a prominent Boston office building? Contact StartUpSelling for a complimentary insurance agency marketing and lead gen review. 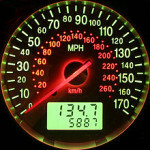 From time to time StartUpSelling publishes our recent trucking insurance agency lead metrics. Here are the results of ongoing projects for three different power unit profiles. 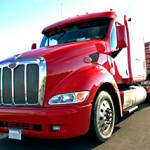 Each lead is exclusive to that specific trucking insurance agency. These are typical results for any agency which works with us on trucking lead generation. With even a modest close ratio, these opportunities would result in significant agency revenue growth. Agencies can and should start building a robust trucking pipeline today, to ensure great results in 2018. 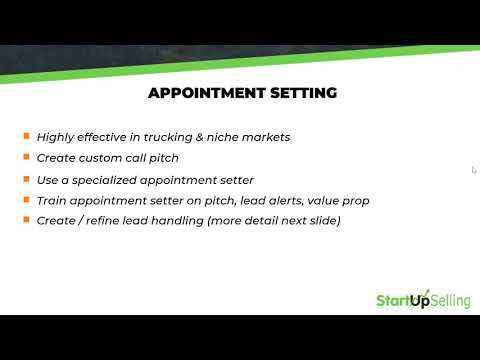 Contact us at (518) 222-6392 for a 15 minute trucking lead gen discussion – and learn how and why other agencies are succeeding with this proven lead generation solution. What is SSL & Why Is It Secure? When navigating to a website, you might see a domain name resolve as http://startupeslling.com. Sites that begin with http: are not SSL sites. SSL sites begin with https: and would look like this: https://startupselling.com. SSL is an acronym for Secure Sockets Layer, which is the de facto standard used to establish an encrypted link between a web server and a browser. The SSL link ensures that all data communicated between a web server and a browser remains private. In other words, SSL keeps information sent across the Internet secure and private, allowing only the intended recipient to receive it in an understandable format. Many people don’t realize that information they send over the Internet is passed from computer to computer, before it finally arrives at the selected destination server. That means that any one of those computers, which are communicating your information in this chain, can intercept important information such as usernames, passwords, credit card information, medical information, etc. SSL encrypts this data, making the information unreadable for everyone except the final destination server. This is important for increased security and to protect confidential information from hackers and identity thieves. SSL provides authentication in addition to encryption. As mentioned previously, your information will typically be transmitted through a series of computers. A good example of this might be a quote form, which might contain confidential information about prospective insurance clients. Any one of these interim computers could potentially pretend to be the final destination website and hijack your confidential information. This security issue is thwarted by using a Public Key Infrastructure (PKI), and getting an SSL Certificate from an authorized SSL provider. SSL certificates are provided to verified entities like your insurance agency for example, after they have gone through several identity checks to prove they can be trusted. Insurance agencies wishing to accept credit card payments will be required to use SSL for their sites. Major web browsers like Chrome, Mozilla, Safari and Edge are now providing indicators to help users determine if an insurance website is secure. Site that have SSL indicate that the site is secure in the top left hand corner by using the word secure, or offering visual clues. For example there might be the word “Secure” displayed, or a lock or other icon indicator. Conversely, a site that is not SSL, might contain a warning icon, or indicate in another way that your site is not secure, warning users that they should not send any sensitive information using your website. It’s only a matter of time before all insurance agencies and brokers will be required to move their sites to SSL. SSL certificates are not expensive, they usually cost between $50 and $70 per year depending upon the hosting provider, and many provide multiyear discounts. Our recommendation is that those insurance agencies which have yet to convert to SSL, should do so immediately. SSL certificates will help protect your agency, your customers, your prospects, and your confidential data. Agencies needing assistance updating their insurance agency website or converting to SSL can reach out to the insurance agency marketing experts at StartUpSelling for a complimentary assessment. There are no fees to download or access this video library. If your insurance lead generation or web marketing initiatives are in need of refinement, contact the insurance marketing experts to learn more. 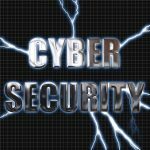 Cyber security threats are constantly changing. It is important to stay on top of emerging trends to keep your insurance agency website secure. A secure website not only protects your customers, it protects your brand. Here are the six top tips to help you keep your insurance website protected. Giving someone access to the back-end of your website is sort of like giving someone a key to your business. Maintain caution when giving someone login access and always keep login access to the minimum amount of people necessary to keep your website up-to-date. One of the most proactive ways you can keep would-be hackers at bay is to keep all aspects of your website’s code updated. When security patches, plugins, or dependency updates are released, install them as soon as possible. Hackers are constantly looking for code weaknesses. When one is discovered it is typically patched by the code developers as quickly as possible. The sooner you update your code the sooner you remove a threat that’s accessible to thousands of hackers. It is extremely important for all insurance websites to use a malware detection and prevention solution, and limit password attempts. Even the best attempts at keeping your site from hacking can fall short. It is absolutely imperative you have a response plan. Audit logs, backups, and contact information for IT support should be included in your response plan. Make certain you have access to log reports on all back-end website functions, to help pinpoint issues when a breach occurs. Every login attempt, page adjustment, code adjustment, and plugin addition should be logged with user time stamps. Perform frequent backups and keep a copy of recent backup data off premises. Backing up your website should be an integral part of your response plan, and some hosting providers offer daily backup services. How often you need to backup your website will depend on how often you update it. When your insurance agency backs up your site, save a copy of the backup off of your server in easily accessible cloud storage. If your host is hacked and the server’s contents are compromised, you will have an unaltered version stored out of the hands of hackers. Once you have your Cyber Security plan enabled, train all users on how to stay safe and prevent attacks. Educate users on how to generate very strong passwords and keep them safe by using a password manager, recognize email phishing scams, and how to encrypt emails that contain sensitive information. What’s a strong password? Today, use at least 10 characters, with alpha (including a cap), numeric (random not a sequential string), and special characters (exclamation, etc.). Many website platforms such as WordPress, will generate and/or measure the strength of your password. To protect your website, start with the basics above, then determine if you have the expertise to continually stay abreast of potential cyber attacks. 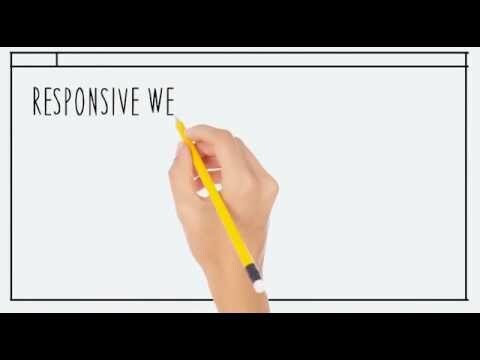 If not, consider outsourcing this initiative to a proficient web hosting and development company or insurance marketing agency. Visit our website for more information on Insurance Agency Marketing Solutions.